Nobody doubts electric vehicles (EVs) have a bright future, but their trajectory is highly uncertain. While battery costs are an obvious key variable, is charging infrastructure the missing ingredient? After all, if there was ubiquitous infrastructure, cars could have smaller batteries (making them cheaper) and range anxiety wouldn’t be a worry. Unfortunately, “if you build it, they will come”, is a poor policy prescription. Who can and should bear the cost and the risk? Infrastructure planning as a top-down mandate doesn’t scale well, but one that syncs with consumer needs, vehicle standards and grid integration does. Did we also mention “reasonable price”? For whom is the challenge “reasonable”? Unlike petrol, which isn’t available at home, EVs can be charged at home. So why would anybody need public infrastructure? The main reason for charging away from home is needing juice away from home, and we want to do it as quickly as possible. Fleets and public vehicles are an exception, which can manage charging cycles (or even try battery swapping), but end users don’t want to go to an EV pump for hours on end. Solving this problem requires high-speed charging, which would allow, say, a 30 kWh battery pack (for about 200km range) to be charged in about half an hour, or less. Even this isn’t something we’d like to do regularly, but when travelling long distances, this can be combined with a food break. However, will most consumers (mass market; forget Tesla purchasers) want to pay for the infrastructure at home? Typical users will not need daily charging. Aside from the high up-front equipment costs, there is the challenge of local electricity (last mile) infrastructure. Many homes have a 3-5kW electrical capacity sanctioned load and the physical infrastructure can’t support loads that are many times higher, without upgrades. Even a 10kW charging system, which is three times faster than a basic 15A socket (the latter would need 10 hours to charge a sedan), could add to the consumer’s sanctioned load, unless regulators cut EVs some slack. There are mandates for public charging infrastructure to be installed. A number of states, through electricity regulatory commissions, have notified special electricity tariffs for EVs, often around ₹5/kWh. Assuming 7km per kWh, this is a very attractive price in terms of operating costs. There are two problems. First, is this loss-making for the utility? The average cost of supply is often ₹1-2 more. Related is the issue of Time of Day. Utilities often don’t have surplus capacity at the peak and without Time of Day, there is nothing to stop or at least disincentivize consumers from plugging in vehicles at the end of the day. Even if not today, the standards should move towards Time of Day pricing, which can allow cheaper charging during grid surplus (off-peak) periods. The second issue is if we consider the EV-charging station service provider. Is ₹5/kWh the end-user (retail) price? At what price would they then get power from the utility? How do they cover their cost of land, equipment, etc.? 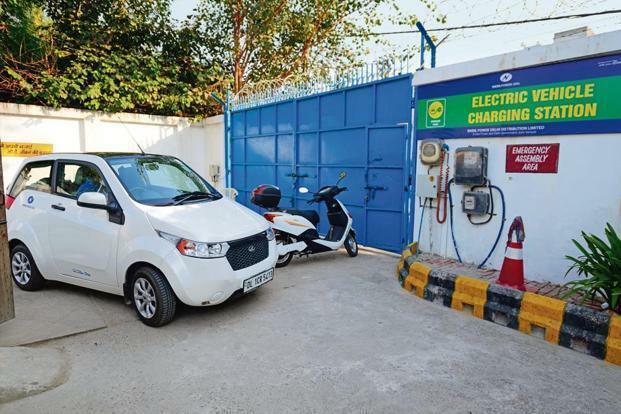 Discussions with EV charging providers indicate their fully loaded costs can be more than three times higher than ₹5/kWh, varying heavily by location and land costs. Synergies on highways with restaurants would only go so far. There is a reason one cannot expect to be served a ₹10 Bisleri (mineral water) in a five-star restaurant at ₹10. The energy charge in some ways is ₹5/kWh—but what about fixed costs? Bundling energy and fixed costs together, if one charges ₹15/kWh for public charging, this brings a sedan’s per-km cost to more than ₹2, not much different from CNG. The cliché of one size doesn’t fit all has often been converted into making solutions for either extreme, either cheap for the masses or advanced for the niche (early adopter) market. Instead, we may need multiple options to meet most needs, including adapters to allow multiple charging standards at cheap price points, else risk “socket anxiety” in addition to “range anxiety”. Even for those with fast DC charging, in an emergency, the ability to use a simple AC plug point can be a lifesaver. One estimate shows 70,000 petrol pumps across India. If we assume that many vehicles can mostly charge at home and fleets can figure their own needs out, then perhaps just 10-20% of this number is sufficient to really get India going towards EVs. Of course, until very fast charging comes along (which is surely coming in a few years—we should enable it in our standards), the per vehicle time will be measured not in minutes like petrol today but tens of minutes. A petrol station may have four or more pumps today. We would need 5-10x more EV-points per station to compensate for the time (or more locations). Expecting public EV charging everywhere, that too overnight, would not just be expensive, it may not even be required. With effort and planning, charging infrastructure shouldn’t be a bottleneck, and the grid should also have enough energy to meet the demand, especially once we ensure proper Time of Day pricing. For the early adopters, especially those who have dedicated parking and perhaps a second vehicle in the home, lack of public charging infrastructure isn’t their bottleneck to purchasing. Lack of enticing and viable EVs is the immediate challenge. Rahul Tongia is a fellow at Brookings India, and is the founding adviser of the India Smart Grid Forum. All views are personal.